Name this folder: AvP2DVD. This will be the name of our DVD. View the Custom Installer here. 3) Copy all the contents of Aliens vs Predator 2 CD1 to the AvP2 folder. 4) From the Aliens vs Predator 2 CD2 copy the DirectX and Gamespy folders and also the data3.cab file to the AVP2 folder. 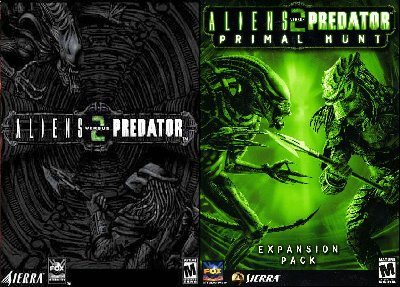 5) Copy all the contents of Aliens vs Predator 2: Primal Hunt CD to the AVP2PH folder. 7) Use the Other folder for your CD key, Mods and any Maps you may have. â€¦â€¦â€¦â€¦â€¦if you dont the update buttons on the menu wont work! NOTE: At the end of the AVP2 install you will be prompted to insert Disc 1. Just Press OK to continue. Also included is PIONERR.TTF for the font copy that file to C:WINDOWSFonts.